We had a business luncheon for about a dozen people!! The food was delivered on time, in a transport oven that kept the food at a desired temperature! The found was cooked to perfection & delicious!! The BBQ sauce was ample & very tasty & not a “heavy” style of BBQ sauce!! This was our first time having Smokin’ Steve at the office and our folks all want to have it again!!! Birthday catering for 15 guests. 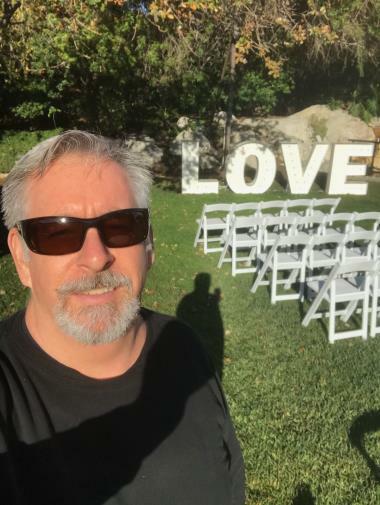 We're a local all occasions caterer that just served them our Sandwich Buffet, Two Meats with 16 hr Brisket, Chopped, Smoked Shoulder, chopped, Baked Mac n' Cheese(VG) and Garlic Roasted Mashed Potatoes (VG) and Garlicky Caesar Salad - Bowl for 12 with Dresing On the Side. Other catering for 300 guests. We're a local all occasions caterer that just served them our Appetizer Station - Display, Professional Buffet & Attendant, Complete Meal Buffet, Three Proteins with Pork-Smoked, Chopped, Pulled, Chicken (mixed) Boneless, Smoked, Chopped, Pulled, Beef- Angus Brisket, Smoked, Sliced, Chopped, Zesty Cole Slaw (VG,GF), Perfect Potato Salad (VG) and BBQ Ranch Beans, Tossed Baby Greens - Farm Fresh Salad, Roasted Cauliflower Steak, Vegan Item, Brownies & Assorted Cookies, per person (min. 10) and Staff Hours, Additional. Office Luncheon catering for 20 guests. We're a local all occasions caterer that just served them our BBQ Salad & Sandwich Meal Buffet with Chopped BBQ Chicken, Chopped BBQ Brisket and Baked Mac n' Cheese(VG), Two meats for Palm Sandwiches, Portobello Palm Size Sandwiches for Vegan Guests and Catering pan place mats. Birthday catering for 17 guests. 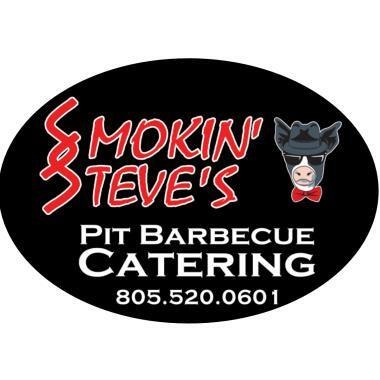 We're a local all occasions caterer that just served them our BBQ Salad & Sandwich Meal Buffet with Chopped BBQ Chicken, Chopped BBQ Brisket and Baked Mac n' Cheese(VG), Bacon Wrapped A-Bombs, per Dozen and Brisket Burnt Ends. Birthday catering for 20 guests. We're a local all occasions caterer that just served them our Award Winning BBQ Chicken, bone in. - Per lb. (5lbs. or More), Boneless Chicken Breast Meat - Per Pound, St. Louis Pork Ribs - Per Rack (3 Racks or More), BBQ Beef Brisket, 16 hrs of smokin! - (5 lb. or more price), Side Dishes - Half Pan with Bacon Collard Greens, Side Dishes - Half Pan with Au Gratin Potatoes, Side Dishes - Half Pan with Zesty Cole Slaw, Dinner Rolls - 12 Pack, Butter pats, Sweet & Bold BBQ Sauce ala carte, Raspberry Chipotle BBQ Sauce - 1/2 Pint size, Mustard BBQ Sauce 1/2 Pint size, No paper goods needed and Wet Napkins. Holiday Party catering for 25 guests. We're a local all occasions caterer that just served them our St. Patty's Day Catering for 25 Guests, St. Patty's Day Dinner and Gratuity for Delivery. Just did another Other catering. We're a local all occasions caterer that just served them our Boneless Chicken Breast Meat - Per lb. (5lbs. or More), Baked Potato Bar for 20, Green Salad - Full Pan, Dinner Rolls - 12 Pack, Butter for rolls, Choose BBQ Sauce - Pint and Sweet & Bold BBQ Sauce ala carte.